South Korea to China: Stay Out of Our Airspace - Integration Through Media ....! 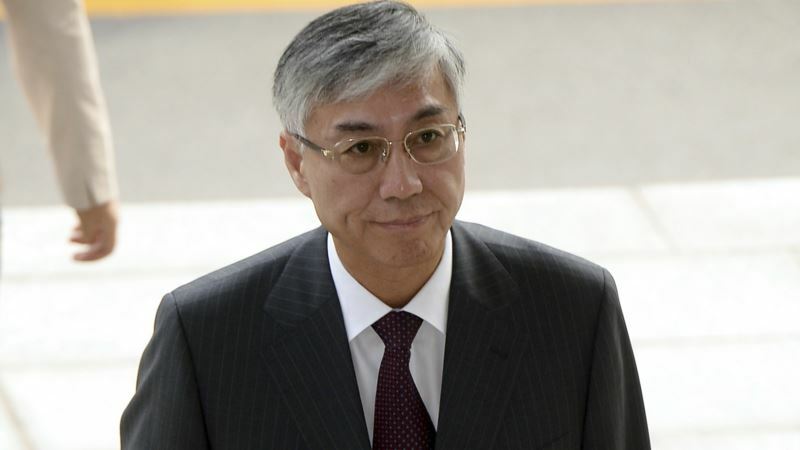 (VOA): South Korea summoned the Chinese ambassador Tuesday to lodge a complaint over a Chinese military aircraft entering the South’s air defense territory, the second such incident this year, the foreign ministry said Wednesday. The Chinese aircraft flew for more than four hours inside South Korea’s air defense identification zone (KADIZ) Tuesday, prompting the South to scramble multiple fighter jets to track it, a South Korean defense official told Reuters. China’s Ambassador Qiu Guohong was told the military jet’s flight into South Korean airspace had been unfortunate and urged to prevent similar instances from occurring again, the ministry said in a statement. Three other Chinese officials based in South Korea had been summoned to the defense ministry earlier in the day for the incident, which occurred near South Korea’s island of Ulleungdo off its east coast. The aircraft was told to “halt its threatening flight” and “any other actions that could raise the possibility of sudden conflict,” said the South Korean defense official, adding Chinese officials told South Korea’s military the aircraft’s movements had been part of regular military exercises. The aircraft was told to “halt its threatening flight” and “any other actions that could raise the possibility of sudden conflict”, said the South Korean defense official, adding Chinese officials told South Korea’s military the aircraft’s movements had been part of regular military exercises. Speaking in Beijing, Chinese Foreign Ministry spokesman Lu Kang said China’s sending of an aircraft for training in the “relevant air space” was completely in line with international law and practice. “Air defense identification zones are not territorial air space. There is absolutely no justification for South Korea to criticize China on the basis of a so-called ADIZ,” Lu told a daily news briefing. A Chinese military aircraft entered the KADIZ on Jan. 29 while two similar instances were observed in 2017.